Throughout history, empires have risen and fallen. Many reasons are attributed to this rise and fall; disease, famine, invasion. However, what is generally overlooked is the role food, and food economics, in this rise and fall of empires and civilizations. Ever since the agricultural revolution, human beings changed their lifestyle from being nomads to being farmers. It was easier to grow food that they wanted to on their own, and not solely depend on nature’s availability. This, of course, had a flip side to it. Agriculture was highly dependent on the weather, favorable soil and the absence of pests. From trying to escape wild animals, the focus after the Agricultural Revolution turned to driving away wild animals and praying to the natural elements for a favorable harvest. How did they manage to survive all this? Farmers of the past practiced subsistence farming. Everything that was grown and maintained in the farm was purely for the farmer and the farmer’s family needs. There was little left to give away, and so they didn’t. The economy was very much local. People traded the little surplus they had for small pleasures of life. 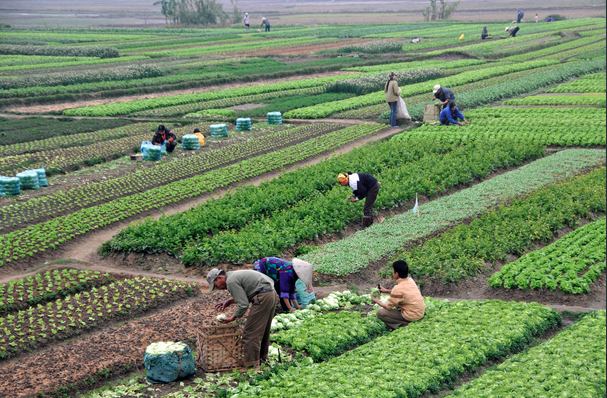 Subsistence farming was developed by mimicking nature. In nature, diversity rules. The resilience of an ecosystem depends on how diverse it is, allowing it to buffer unfavourable conditions and ensures that one bad day/season/year did not destroy every living being in the ecosystem. So, farmers used techniques like crop diversification, crop rotation, shifting cultivation and generous but controlled use of grazing to ensure a healthy diet. When farmers began to notice that their land seemed more suited to one kind of activity than the other, they began to slowly increase that activity in their land. Over time, majority of the land was devoted to that one activity. A mutual agreement was reached with people around their land; one farmer grows one kind of crop in large numbers, which can then be exchanged for what other farmers were growing. And thus was born, the concept of monocultures. This method, no doubt came with its perks. By focusing on one crop or activity, the bounty from the land increased manifold. The generation of this surplus allowed people to exchange their commodity for various others in the market. Over time, the surpluses grew so much that some people didn’t even have to work! They could just depend on other farmers to provide what they needed to eat. But how would they pay for this in return? As people were freed from farms, the services industry bloomed. People could now devote their free time towards other activities like pottery, music, and garments, to name a few. These people flocked to centers where markets developed and there was an opportunity to practice alternative occupations and have an outlet for these activities. One of the major differences between rural and urban areas is that urban areas are service-dominated, and it is the place where the market is located. Thus, the rise of urban centers. The development of urban centers is often seen as the epitome of an empire. This is when trade and commerce bloom and people become more prosperous. But this is all dependent on the initial decision of farmers to shift from subsistence farming to surplus farming. As trade blooms, the demand for some crops from some regions increases. For example, Eastern Europe during the Roman Empire grew on the back of olive and wine trade. That was their single biggest commodity and would generate everything else they needed from this exchange. Similarly, Cretans in ancient Greece were known for their wine. And so, farmers practicing monoculture also turn to intensive agriculture. They grew more crops in less time, sometimes even multiple crops a year. They modernized techniques and broke new land. They cut down forests to increase their crop size. As a consequence of more available food, people reproduced more, migrated to cities and continued to rely on the bounty coming from the farms. Population in urban areas grew to sizes that were not common in prehistoric times. However, this change towards monocultures and reliance on trade also spelled doom for all of these empires and civilizations. The problem with monocultures is that with one crop failure, the entire source of income that the farmer has is lost. With no income, they cannot trade. Time and again, from Greece to Rome to Indian empires, we see that famines have been a huge reason for death and destruction. A famine is only deadly because it wipes out all food sources from a region. The fact that the entire region grows just one food source, makes the process a whole lot easier. The land can only take so much of the same thing. Loss of forests, plantations of the same crop and overexploitation lead to the problems of nutrient depletion, soil erosion and the eventual decrease in the crop size. To counter this, farmers did not step back and try to change their methods. Instead, they tried to more of the same thing. With small changes in climate, the conditions to grow particular crops also change. This is never a problem when a farmer practices subsistence farming, since he/she can always simply rely on other options. However, if monocultures are grown, a few bad years can spell doom to an entire civilization. And when farms fail, the entire economy on which the urban centers are built fails. 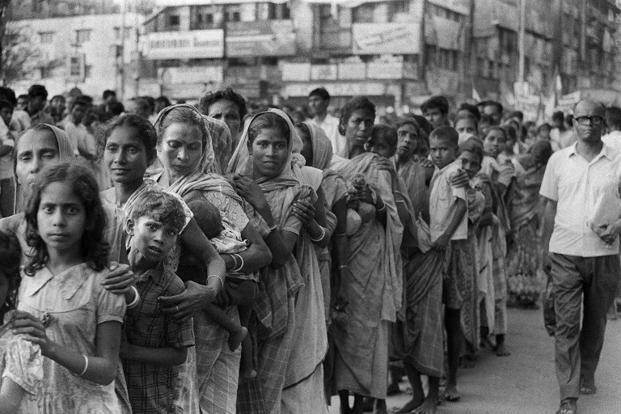 Urban centers face acute food shortages and people die in the millions. Eventually, those who are left will need to move back to the farms to grow their own food. It matters becomes this is exactly what is happening now. With intensive agriculture and monocrops around the world, with a global market that eats food from every nook and corner of the world and a changing climate, we may be heading for a disaster like what has happened in the past. The agricultural sector and industry is trying to counter the problems faced in this sector by using science and biotechnology. More powerful fertilizers, pesticides and genetically modified crops are being introduced into the market to counter the effects of climate change and a growing population to feed. The world is expected to top out at 8 billion individuals by 2040. That is a huge number to feed. If science fails in this regard, the entire world market will collapse. The solution is simple: subsistence farming and local markets. The global world cannot be sustained when it comes to food security. It requires a local approach where people grow multiple crops in slightly larger numbers; numbers just big enough to trade in small localized markets. However, this will also mean that more people will need to shift from urban to rural areas, to a more simple form of living with a little less luxury and a little more hard work. This means that the world economy, and the way policies shape countries, needs to change. There is a lot of resistance to this. I wonder if we can rise up to this challenge. All images from Google Images. This article was inspired by “Empires of Food: Feast, Famine and the Rise and Fall of Civilizations” by Evan Fraser and Andew Rimas. I highly recommend this book to anyone interested in this topic. NextShould We Pay For Ecosystem Services ?